Ahh..the start of a new week and I’m really hoping that it will be less ‘eventful’ than last. Breakfast ready to be quickly grabbed will really help and I need a new muffin. I’m one of those weird people that even in the summertime when there is a plethora of this green goodness I’m still happy. You can imagine how pleased I was when three, very pretty zuch arrived in my organic bin the other day. I thought of making a quickie stirfry but…that’s sort of warm weather food for us. Then I spied in the cupboard some REALLY fresh walnuts. Walnuts that are oily and super tasty are hard to come by around here. Often they are slightly old and often almost taste a bit rancid. Needless to say I don’t buy them often but when I do I use them up quickly. How do these two ingredients get married? 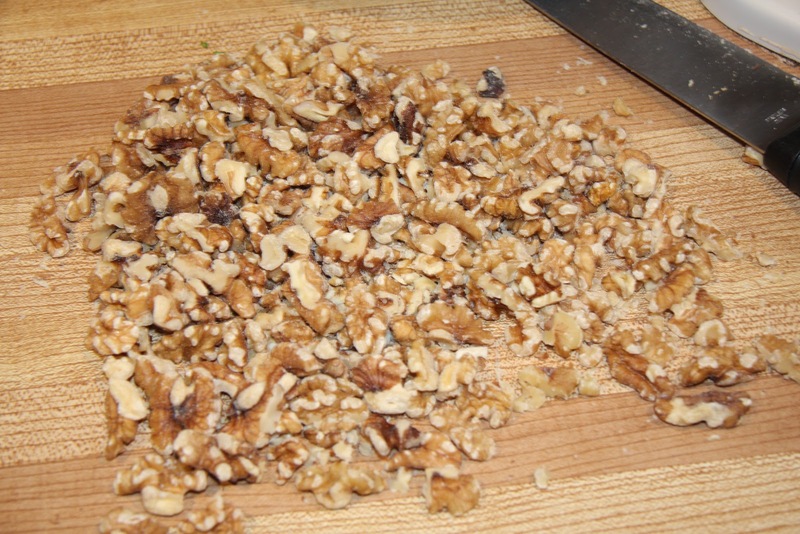 1 1/2 cups of chopped walnuts (you can actually leave these out or replace with your favourite nut). I chopped them roughly and toasted them for a few minutes in a frypan. 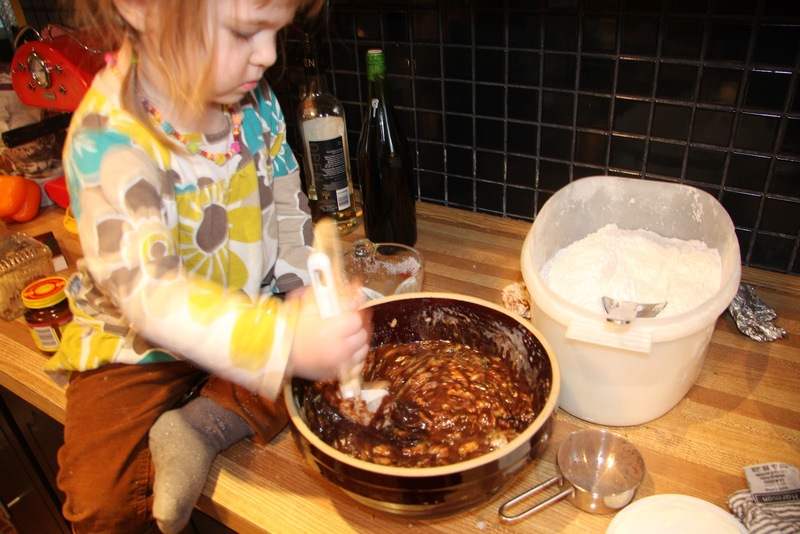 In my bowl I’ve got: 1 1/4 cup sugar, 1/2 cup cocoa, 2 1/2 cups flour, 1/2 tsp salt, 2 tsp. 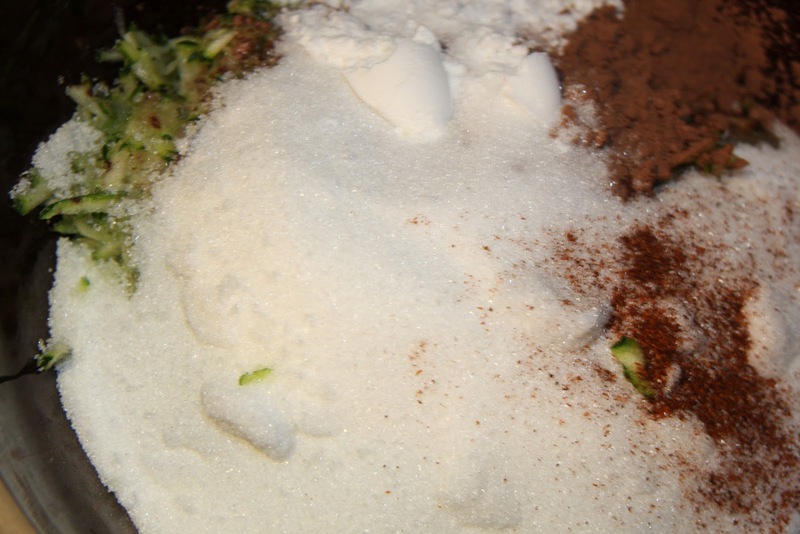 baking powder, pinch chilli powder (trust me. this is the cool little extra taste that makes these so good), 3/4 cup oil, 1/2 cup yogurt, 2 eggs and 2 cups of shredded zuch. 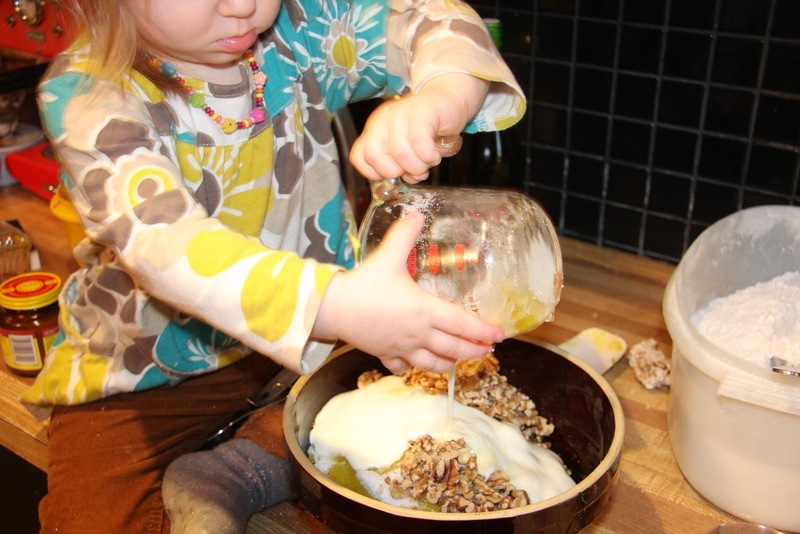 Get hardworking toddler to mix after dumping everything in the bowl. For all you non-bakers: does this not tell you that these muffins are EASY. 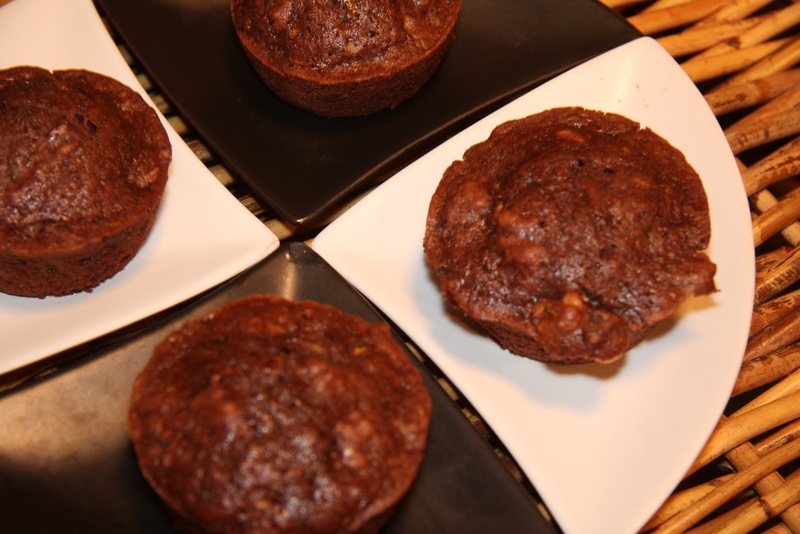 Bake in a 350 oven for 15 minutes or until a knife comes out cleanly (the water content in each zuch makes the baking time of this muffin inexact). Makes 18 breakfast sized muffins.